Mystery Science Theater 3000 has been off the air for more than 15 years, but new episodes are on the way soon! Fans of the show are eagerly awaiting the arrival the revival on Netflix, but for now, creator Joel Hodgson has given us a bit of a gift. The long-lost but recently uncovered first two episodes of the show have surfaced and are now available online. The show aired and gained popularity on Comedy Central and later on SyFy, but Mystery Science Theater 3000 originally started out as a public access TV show in Minnesota. 21 episodes of the show aired on area TV station KTMA before Comedy Central picked it up, but the first couple of episodes never made it online. Until now. Joel Hodgesn recently discovered tapes of the episodes, titled Invaders From The Deep and Revenge Of The Mysterons From Mars. As a special thank you, he made digital copies of the episodes and made gave them to Kickstarter backers. Here is what he had to say in an email to the Kickstarter backers about the episodes. "I really loved getting a chance to see these early episodes again. You can see Josh and Trace and me just wading into 'movie riffing' and starting to play with all the elements and dynamics of the show and the set pieces. Obviously, it's pretty slow. We didn't pre-watch any of the films or even attempt to write any jokes; it's just us, starting out, 'blue skying' it. Naturally, if I could have known that, almost 30 years later, there would be a group of about 50,000 folks looking at these as a sort of 'historical document,' I probably would have tried to find ways to put more time into them. But, as they say, it is what it is." By all accounts, and by Joel Hodgson's own admission, these early MST3K episodes are pretty rough. So for die-hard fans of the show, it is probably pretty interesting to see, but casual fans aren't likely to get the laughs out of these episodes they are accustomed to. That said, if you do want to watch the episodes and weren't one of the Kickstarter backers, you can purchase them. Invaders From The Deep is available here and Revenge Of The Mysterons From Mars is available here, for a fee. 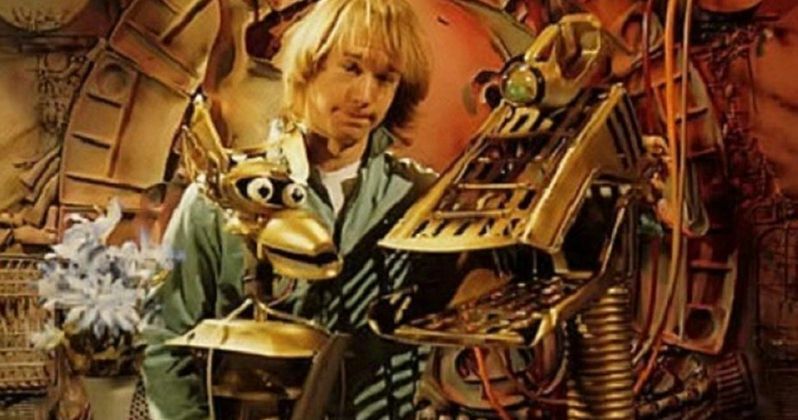 The MST3K revival, which was funded by a very successful Kickstarter campaign and later picked up by Netflix, will feature an all-new cast, but Joel Hodgson is still heavily involved in every facet of the production. He helped the new cast in writing riffs for all of the upcoming episodes and is producing the revival series. He has also stated that many of those involved in the show over the years are writing on the show, and will be making appearances. During the Kickstarter campaign, it was announced that Jonah Ray, co-host of The Nerdist Podcast and The Meltdown on Comedy Central, will be the new host of the show. Comedian Baron Vaughn will be taking on the role of the robot Tom Servo, and Crow T. Robot is going to be voiced by Hampton Yount. Hodgson also confirmed that Felicia Day will be taking on the role of Kinga Forrester, daughter of Dr. Clayton Forrester from the show's original run. Patton Oswalt is also joining up as the son of TV's Frank. Netflix has yet to announce a specific premiere date for the new Mystery Science Theater 3000 episodes, but the show can be added to subscribers lists now and has the show listed for 2017. We do know that there will be 14 new episodes and that they will all drop at once, which Netflix does with most of its shows. For now, you can check out these two newly unearthed episodes of MST3K, even if they aren't of the highest quality.